Exacerbated by climate change and a growing population, Jordan is now one of the top five most water scarce countries in the world. “But in Jordan we like to see these challenges, as opportunities,” Dina Kisbi, Director of the Climate Change Directorate explained. She continued, “in regard to climate change, this is an opportunity to sustainably develop and implement long-term solutions.” Through the challenges of climate change, the country and its Ministries are coming together to find solutions for mitigation and adaptation, while ensuring that the country can still develop sustainably and continue to stimulate a growing economy. Jordan joined the NDC Partnership with a clear vision – to utilize the Partnership and its services to develop a comprehensive NDC implementation plan that accounts for the needs and challenges of the country. 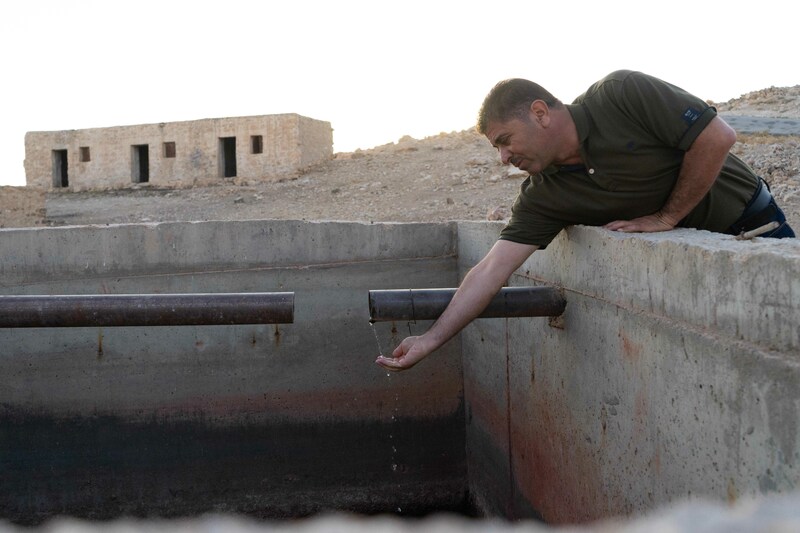 A scoping mission conducted by the NDC Partnership in April 2018 found that addressing the significant impact of Syrian crisis is currently the Government’s priority; Jordan’s severe water shortage is exacerbated by climate change and influx of refugees; youth employment is a priority for the Government, and is exacerbated by the refugee crisis; technical support is needed in turning pipeline of projects into bankable proposals across the board; and support is also needed in aligning SDGs, NDCs, and development plans. Spearheaded by the Ministry of Environment and Ministry of Planning and International Cooperation, the recent NDC Action Planning workshop demonstrated the expansive support Ministries, development partnership, and implementing partners are showing for aligning their work with Jordan’s NDC in an effort to adapt to climate change and reduce emissions. This workshop is part of a five-stage process developed as part of the NDC Partnership Country Engagement Strategy with the goal of creating a Partnership Plan – a tangible and actionable plan that aligns partner and donor activities with the Governments key priority areas. The workshop aimed to further outline the NDC action plan for the implementation of Jordan’s NDC by elaborating on the Government’s requests by agreeing common outputs, key activities and performance indicators; furthering the process of matching existing and planned Development Partner resources and funding to Government support requests; and facilitating a common approach towards implementing NDCs across Sectors and Development Partners. A quick interactive poll at the workshop showed that securing finance was perceived as the greatest challenge to NDC implementation and that enhancing coordination with Partnership Plans was recognized as the top opportunity for NDC Partnership engagement. A trip around Jordan will show you the challenges that the country is facing due to rapid development, a growing population, and climate change. But, the country is taking action. As a country with over 300 days of sunlight a year and a flat topography, Jordan is primed to develop its solar capacity. In the Ma’an Development Area, nine local, Arab, and international corporations have founded the first solar power complex in Jordan. With nine developers already active in the solar park, this complex spans five square kilometers and produces approximately 165-megawatts of power. The Ma’an Development Area has already begun to create a second 18.5 square kilometer solar park. Additionally, Jordan is exploring the use of wind energy as studies on wind potential have shown that the country has rich wind energy resources. According to the Global Wind Energy Council, Jordan has installed 119-megawatts of wind capacity. For a country like Jordan that imports over 90 percent of its energy, the economic, environmental, and social benefits of these renewable energy projects cannot be overstated, especially when considering the potential for reduction in carbon dioxide emissions and fossil fuel consumption. This blog was written by Taylor Robb-McCord, NDC Partnership Communications and Marketing Specialist.